WONDERFUL AREA OF POLK COUNTY. LAND IS IN LAKESIDE HILLS. ZONED R-1A. HOME ACROSS STREET SO POWER IS CLOSE. BUILD YOUR HOME TODAY. THIS OVERSIZED LOT WOULD BE PERFECT FOR YOUR NEW HOME. 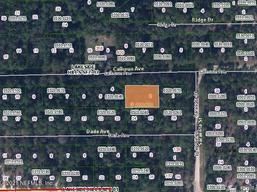 Vacant land located in quite area near local shopping areas and schools. Vacant land located on quiet street, perfect for your own little piece of privacy. Put your new mobile home on this property or build your new home! Just a short drive from the main shopping areas and local schools. LAKESIDE HILLS. THE LAND OF THE LAKES. AFFORDABLE LOT WITH HOMES NEAR BY. PAVED STREETS AND GREAT INVESTMENT. IF YOU LIKE TO HUNT AND FISH, PUTNAM COUNTY IS PERFECT FOR YOU.NO OWNER FINANCING ON THIS ONE. Vacant land located on a quiet road. Local shopping areas and local schools are only a short drive away. Uncleared lot ready for your home. a nice lot ready after clearing for your new site built home. R1-A. Not far from Georges Lake and ramp. Two corner lots on a paved road idealfor your new home. Today Articles..Renovating, Goals, Sellers Market..